The senior managers at The Centre for Reproductive and Genetic Health (CRGH) are very experienced and passionate about fertility care. 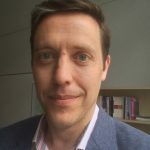 Jonathon is a qualified Barrister with twenty years of senior management experience within the Health Sector and has held CEO and director roles NHS commissioning and service provision in both the NHS and independent sector. He has a particular interest in corporate strategy, business development, change management, and organisational culture. Jonathon is currently studying for a management accountancy qualification with CIMA. 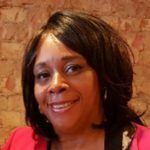 Sandra has over 20 years of Finance experience within a variety of industries including media, retail and trade finance. 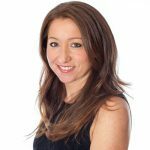 In the last 6 years she has gained invaluable knowledge of the fertility industry having worked for one of the UK’s largest private fertility clinics before joining the CRGH team in 2017. Suzanne Cawood is the Head of Embryology at CRGH. She previously managed laboratories internationally and in Harley Street, London and is driven to provide the best possible care and success for patients. Recent achievements include CRGH becoming the first UK clinic to provide automated vitrification and achieving accreditation as a leading training centre for embryologists enrolled in the STP programme. Suzanne is now leading a project for ovarian tissue preservation at CRGH, which would be a UK-first for a laboratory in a private clinic environment. 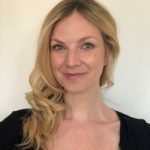 Francesca has a special interest in gamete donation and surrogacy, and training and development for nurses and HCAs within the fertility setting. 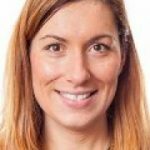 Francesca is a member of the Royal College of Nursing, and recently co-authored the RCN fertility nurses career progression and education framework publication which was launched in March 2018. Francesca is also an active member of the SING (Senior Infertility Nurses Group) which is a national group that shares and promotes best practice for fertility nursing. Marion is the General Manager at CRGH. She has 8-years’ experience as a senior manager within an IVF setting, in both the NHS and Private sector. She is dedicated to putting patients first and delivering outstanding customer care. She over 25 years in management across the healthcare, energy, and recruitment sectors.